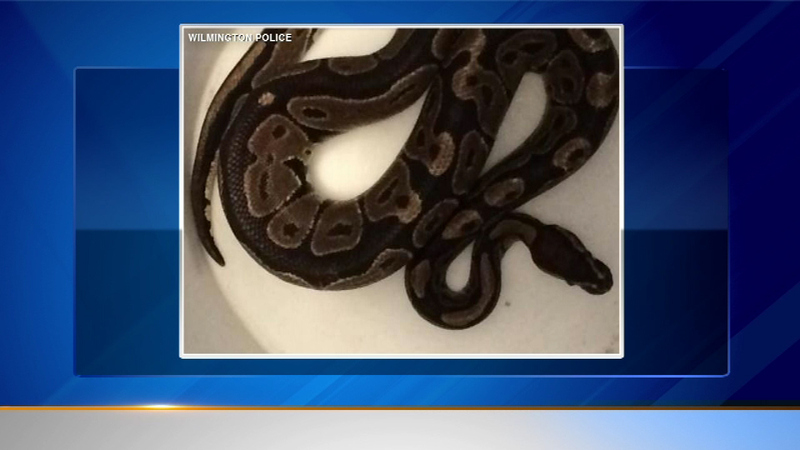 WILMINGTON, Ill. (WLS) -- A woman in Wilmington, Ill., almost shared a bathtub with a three foot long python. She went to take a shower Thursday and was shocked to find it in her bathroom. A brave police officer caught it with a bucket and it's now in the hands of a reptile expert. There are no reports of missing pets. No one is sure how the snake got there.